Saint Nicholas's Monastery (Миколаївський манастир; Mykolaivskyi manastyr). One of the earliest monasteries in Kyiv, located on a hillside later known as Askoldova Mohyla (Askold's Tomb) in the Pechersk district. Believed to have been established in 1113 by Grand Prince Mstyslav I Volodymyrovych the Great, it was originally called the Pustynnyi Monastery because of its uninhabited location. The monastery came under the jurisdiction of the Kyivan Cave Monastery in 1174. It was destroyed during the 13th-century Mongol invasion but rebuilt, and in 1497 Grand Duke Alexander Jagiellończyk of Lithuania granted it lands stretching down to Kyiv's Podil district. Later the monastery enjoyed the patronage of the Zaporozhian Host. From 1696 it was called Saint Nicholas's Small (Malyi Mykola) Monastery to distinguish it from the nearby Saint Nicholas's Great (Velykyi Mykola) Monastery, whose construction that year was funded by Hetman Ivan Mazepa (see Saint Nicholas's Military Cathedral). 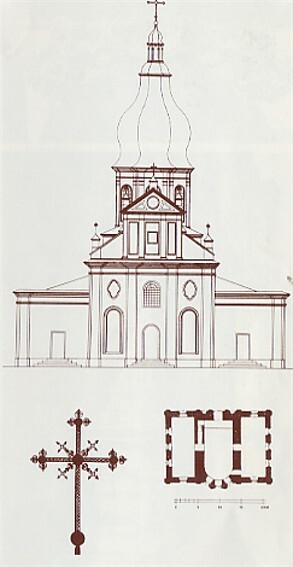 From 1715 the monastery was known as the Slupskyi or Slup (Pillar) Monastery, after the pillar-shaped, stone Saint Nicholas's Church built in the baroque style there that year (funded by Governor-general D. Golitsyn). The church was substantially remodeled in the 19th century. In 1908 the monastery housed 50 monks and novices. 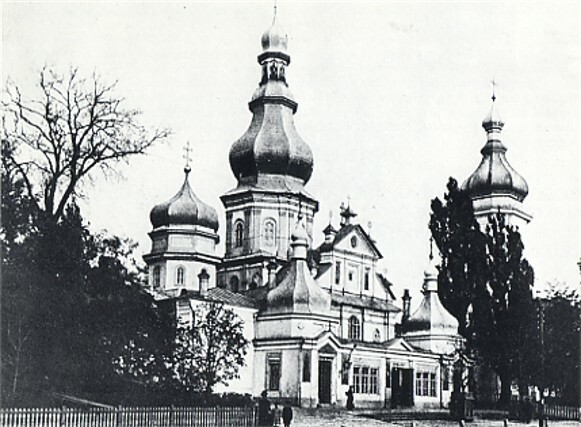 The monastery was secularized under Soviet rule, and the church and adjacent three-story campanile (built in 1874) were dismantled in the mid-1930s, as part of the Soviet antireligious campaign, to make way for a park.